Japan's CP+ is the largest photography show in Asia. It is held once a year in the Pacifico Trade Centre in Yokohama (which is almost an outer suburb of Tokyo really). Image Science, in the form of director Jeremy Daalder, visited the show and enjoyed a few days working in Japan on content creation to support the BenQ AQColour colour accurate monitors. This year we had new BenQ ambassador Mark Galer along for the trip. (Mark is also a Sony Ambassador, was a long time Adobe ambassador, and is also an old friend of Image Science!). Unlike the now mostly defunct Australian photo shows, there is a strong and growing audience for this show in Japan, with some 70,000 attendees visiting to see the latest photo gadgets and gizmos. 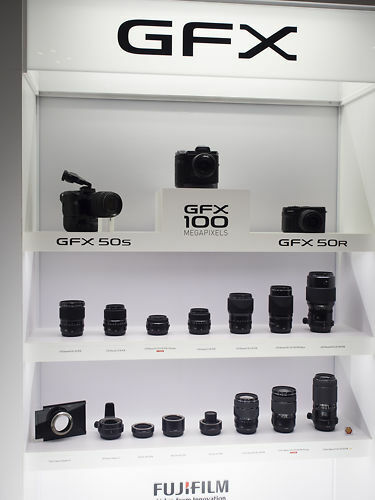 This year, mirrorless was absolutely the dominant theme - just about every company had a mirrorless system on show. Here follows a report on a few things we found the most interesting at the show (and is by no means a comprehensive report...there are plenty of those around the web - this is just my personally biased and opinionated musings!). We also have a gallery of captioned images here. 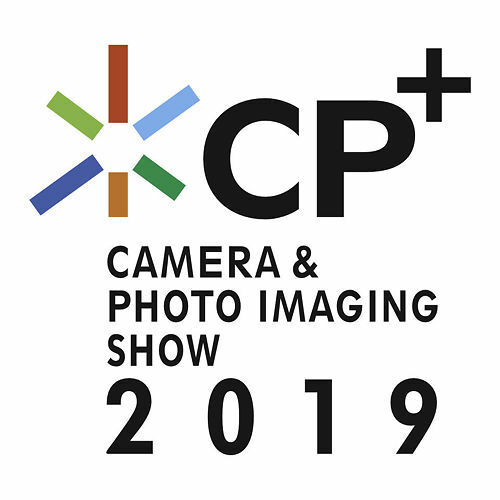 This year's CP+ in Yokohama Japan was another busy, well run, and well attended event - with some 70000 people passing through the halls of the Pacifico Trade Centre. For those of us coming from Australia, it's an eye opening experience. It's been a solid 15 years or so since a show of this size and popularity was held in Australia. Our local show (which became known as the Digital Show on its way to its demise), was a victim of its own scattershot planning and, I think, general show fatigue in Australia. Without the laser focus on specifically photo related companies, the show simply lost its way and with each year the show was noticeably smaller and less well attended. Feedback from exhibitors was always that the fees were outrageous, and the restrictions placed on what they could do with their stands so severe, that the whole thing became hard to see a point in. Contrasted to CP+, there seems no similar issues there. I am sure the fees are also high, but the stands are rich and varied in content (including such things as expansive model train sets, and a mini skateboard ramp setup for testing auto-focus!) - and clearly the major manufacturers feel the show is worth it - as most of them had expanded and improved stands over those from 2018. And attendees were packed many deep at all the major makes' stands, so there were plenty of interested eyeballs for the gear. Given the size and seemingly growing importance of the show, it would be nice to see a little more overall English language presence - a few more materials available in English, and a few more on-stand representatives speaking English would be helpful, to support the numerous foreign visitors to the show. ...on the wall, maybe, but not in cameras. Market leader Sony seemed once again the key player at the show, with the biggest, brightest and busiest stand at the show. They are clearly trying to leverage and maintain their substantial market lead in full frame mirrorless. Finally Canon and Nikon have had to admit the advantages of mirrorless & the clear & growing market preference for these systems - and have both released serious full frame mirrorless systems. Much has been written about these elsewhere, but the general impression as that whilst these systems are solid efforts, Sony have nothing to worry about yet. Indeed, the general impression is that Sony's lead has been so significant that they have deliberately held back new developments in recent times so as to see what the traditional brands would release - and that they have a bunch of interesting new models and technology in the wings. It will be interesting to see what they release over the next tear or two, now that one presumes that leash is off. Both the A9 and A7R seem ripe for replacement. 8K is almost certainly a given (which folks want particularly so they can re-frame a 4K section from the 8K recorded source)...and of course any replacement will likely see very solid AF performance - Sony's new 'eye-AF' technology was being demo-ed with animal eye tracking - and Sony have even promised to backport that tech. to the current range. Their current range is pretty spectacular, for sure. And slowly but surely they have released solid optics as well as cameras, so the range now feels very complete. (That said, in pricing up a system, it most certainly is not a cheap system!). Sony showed an interesting new 135/1.8 lens at this CP+ - one designed specifically to have exceptionally smooth bokeh - that most Japanese of lens attributes. Personally I always find 135mm a tad long for a portrait lens, preferring the 85mm length, particularly if not in the studio. But I did see some sample images, and the bokeh was indeed remarkably rounded and smooth. This really helps improve the background separation. Reviews of this new lens show it to be something pretty damn special. In any case, everybody has a mirrorless system now - some of the makers even have more than one system! And quite frankly it's hard to see a big future for traditional DSLR. Of course those systems are super established and comprehensive and very well battle tested - so if you really need certain extremes (super long lenses, you work in freezing temperatures, or what have you) - then DSLR still makes sense. But for anyone buying into a new system at this time...it's clear all the makers expect the future to be mirrorless, and this is clearly where the majority of their attention now lies. Says it all really, right? DSLR is in rapid decline, mirrorless in clear ascension. Full disclosure - I personally love Micro 4/3rds as a concept (small, light cameras and interchangeable lens systems from multiple manufacturers) - and for some time now I have shot almost exclusively on my Olympus OM-D and I love it. My Nikon DSLR kit has long sat in the cupboard feeling neglected. I simply have a huge preference for small, light cameras and optics...I guess following the principle of the camera you have with you is always better than the one you don't, and with small systems you just tend to have it with you...more! Whilst the full frame mirrorless cameras are often nice and small themselves, unfortunately the optics...are not. Given the sensor size, they just fundamentally have to be a certain size and weight - particularly the fast lenses of course - and micro 4/3 still has a huge advantage in this area. But I fully get that a lot of people are not too bothered, and consider the smaller sensor size - with the inevitable reduction in sheer image quality and reduced flexibility in depth of field - too much of a compromise. Still, there are many lovers of micro 4/3 cameras in this world, and for many Olympus have really nailed this format with their OM-D series of cameras and optics. For video shooters, the Panasonic G series have long been favourites as well, and the G9 was a big hit at least year's CP+. However, with the recent shift in focus from Panasonic to a new full frame mirrorless system, the future has definitely become a little less clear for Micro 4/3rds. 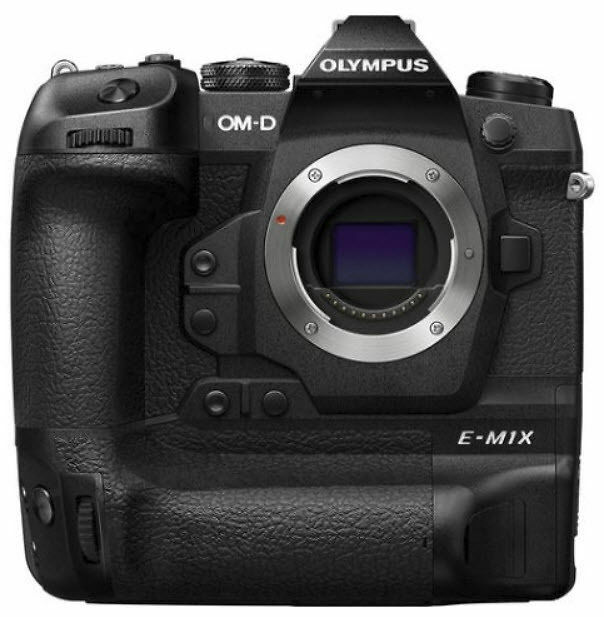 At CP+ this year, Olympus released their new sports and wildlife focussed OMD-EM1X. I find this a curious release. The camera itself is really as big and heavy as any of the larger, faster DSLRs out there. You still get the advantage of much smaller (and cheaper) optics - so the system overall will remain a lot more portable - but the existing EM1 body is already no speed slouch, so I can't help but think the market for this new beast will be really quite small. Perhaps Olympus know something I don't, and over the decades they have done well targetting certain niches. However, in the meantime, people have been crying out for an EM5-Mk3 for years now (me included!). Olympus have finally mentioned this publicly, and it seems likely that will be,at last, released later this year. They will really need to come up with the goods, though, to keep people enthusiastic about the system. We shall see what they come up with (when they finally do!). Fujifilm had a massive stand again, and their mirrorless cameras are clearly popular. So too their GFX system - which offers amazing medium format quality in a relatively light form factor. Were I still a landscape shooter, I would be seriously tempted by their forthcoming GFX100 offering (assuming the pricing remains similarly competitive as the GFX50 offerings). The Fuji optics are superb, and combined with 100 megapixels one expects the files to be pretty amazing. That said, with full frame systems now offering 40+ megapixels - the GFX50 systems seem under threat. Sure, the larger sensor perhaps offers a bit more quality, but I think the 100 MP area is where the GFX future lies...otherwise the size/weight penalty is just too much for too little extra I think. I visited the DAIV/Mouse booth again this year. DAIV make a line of PCs specifically targeted at content creators. As many of you know we have dabbled in this area ourselves (indeed, we're shortly going to be announcing something quite interesting in this area - so stay tuned!). DAIV does not really exist outside of Japan, but they had a large flashy booth and lots of interested people in attendance. 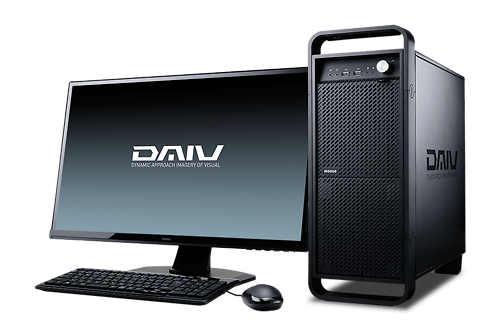 There is without question a strong market for PCs specifically designed for content creation & editing tasks - both still and video. My guess, though, is that and new Apple machines will be, as usual, fiercely expensive - overpriced, even, for what they will actually offer. And whilst rumours of a bizarre new 6k screen abound, I don't think this is really what most professional people are actually looking for. For content creation, you will have a vastly cheaper and better system if you go for a custom PC and a dedicated graphics monitor from a brand skilled in this area like BenQ or Eizo. Ilford had a great stand at this years show. They are expanding their range of fine art papers considerably, and there were lovely samples of the new papers on show. In news that should surprise no one, and whilst several Aus. 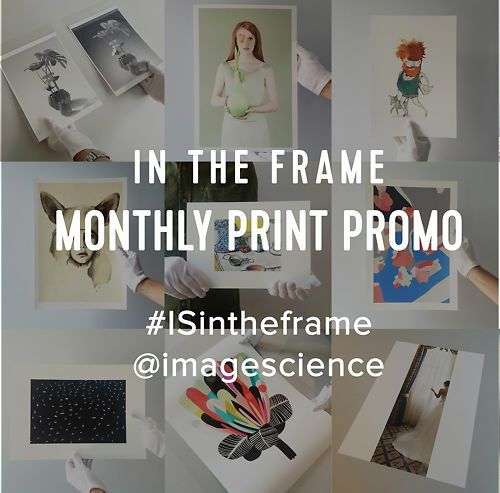 photographers' images were used as sample (Vicky Papas, Ian Van Der Wolde etc. - and their work looked truly world class!) - there was a noticeable distinct lack of work from ex-Ilford ambassador Lisa Saad on the stand. In addition, Ilford had their creative emulsion product with a whole wall of examples. This is a paint on fine art inkjet coating - allowing you to coat and then print on just about any material! There's more about the Ilford offerings in my captioned gallery. Indeed, there's more about CP+ generally in the gallery there, so head on over and check it out if you're interested. And Mark Galer, who was great and interesting company for the trip, has his own comprehensive blog on it all. The rest of our time in Japan was spent helping BenQ create content about their AQColor range of monitors for creative professionals. Content shot covered the BenQ AQColor range of monitors (what they are & who they are for) - as well as more general photo content on location scouting, a shoot with a model at a temple in Tokyo, and in-the-field work with the BenQ Accurate Colour On The Go system. Of course there was some wining & dining too. Well, more like whiskey sours and fish feasts! Videos from the trip have now been added - see below! ...Unfortunately, that's all I have time for here just now as I'm off to Sydney for a couple of days - but I will add the video content when it comes and the gallery has lots more in the image captions. I just wanted to thank you for the printer profile – I am SO happy with it!! I actually can’t believe the difference between that and the one I downloaded from the Canson site for that paper type and my printer. Just amazing. Now my prints are just …. working …! !